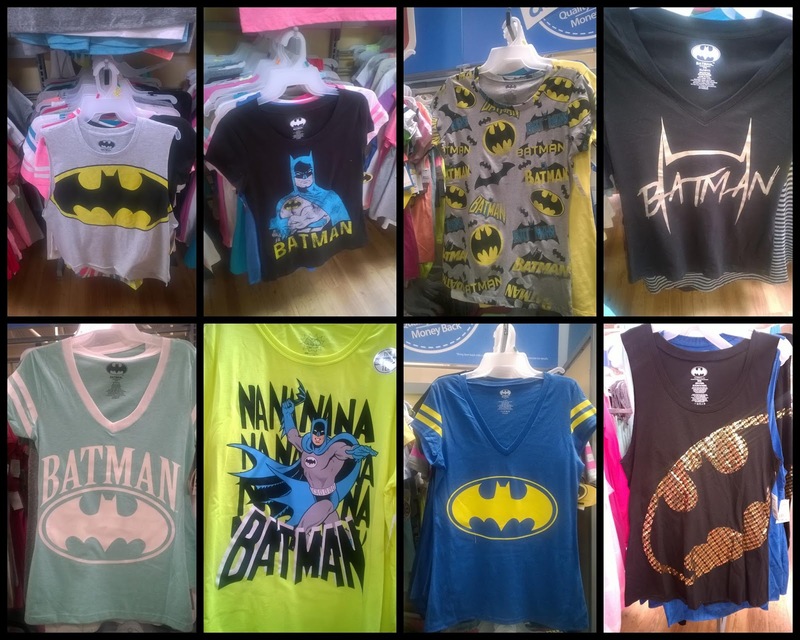 BAT - BLOG : BATMAN TOYS and COLLECTIBLES: Female BATMAN FANS Can Now Find #BATMAN T-Shirts at Walmart! Female BATMAN FANS Can Now Find #BATMAN T-Shirts at Walmart! I have a lot of friends who are Women and they all say it's kind of hard sometimes to find BATMAN-Themed T-Shirts to wear. Well, our friend Melissa was at Walmart recently and spotted all of these beauties.... so, Ladies, quick yer whining! (Ha Ha). I really like the one with a bunch of vintage Batman comic book logos but the pink one is cute too.